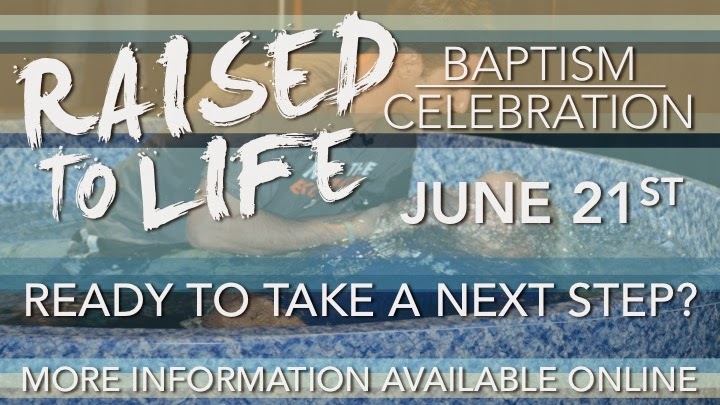 Raised to Life Baptism | The Exchange | Get Life. Give Life. Ready to take your next step of faith through water baptism? Sunday, June 21 we will celebrate baptism as a part of our Sunday Gathering. We believe Scripture teaches that the obedient next step for those who have trusted Jesus is to demonstrate that through baptism. If you have never been baptized and are interested in being a part of the celebration or just have questions about baptism, contact us for more information.